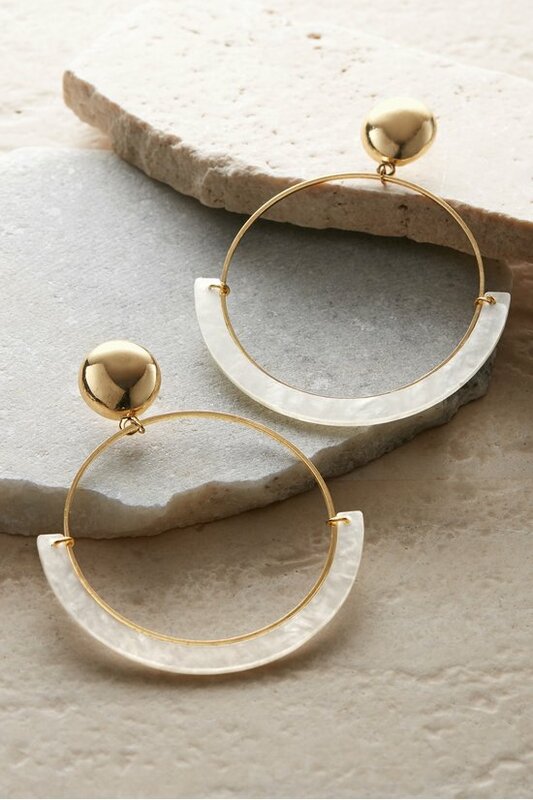 Pearly half-circles bring a mixed-media element to the slender golden hoops of these swingy earrings in an up-to-the-minute trend. 18kt. Gold tone plated brass. Resin.